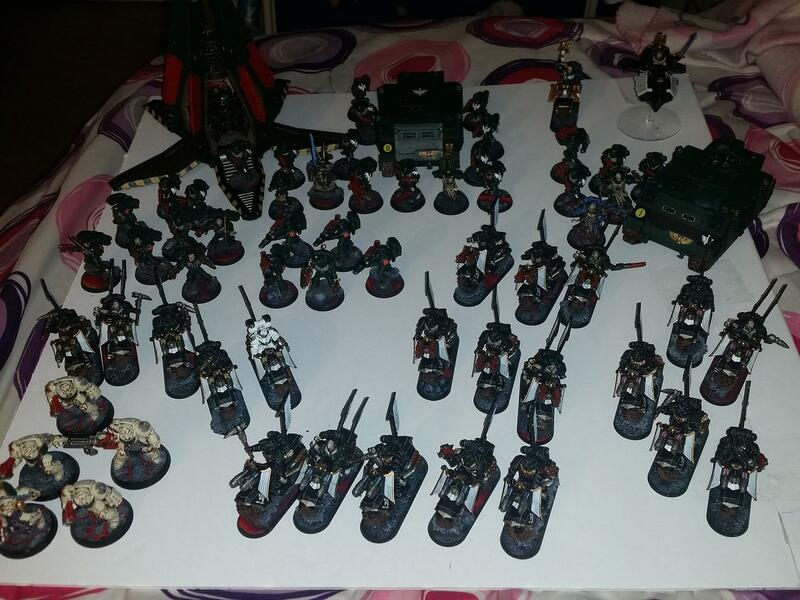 Warhammer 40k Orks (and more): The Inner Circle - Dark Angels complete! The Inner Circle - Dark Angels complete! All 18 units are now done for my Inner Circle entry, with 2 weeks to finish the display board. And that is coming along nicely! Shouldn't be a problem. Fast: Assault Squad x6, power fist, vet sgt, 2x flamer. That's 2417pts. I leave off one of the assault guys for exactly 2400.